Q. How do find a peer reviewed article on international economic issues? The library database ABI/Inform (ProQuest) enables you to use a search option to find peer reviewed articles. Once at the databases page pick A from the A-Z listing and choose the link for the 'ABI/Inform' database. 1. 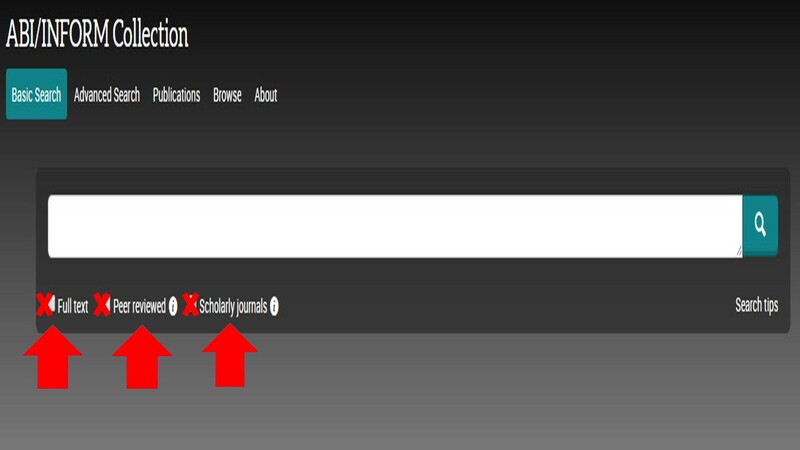 Check on the small 'Full-Text' box first just underneath the search box. Following this use search terms that describe the topic as best you can, including substituting similar words (example: use the word 'global,' changing the phrase to 'global economic issues' or 'globalization'). Also experiment with a combination of search terms, making them as specific as possible (example: "global economic issues" AND China). 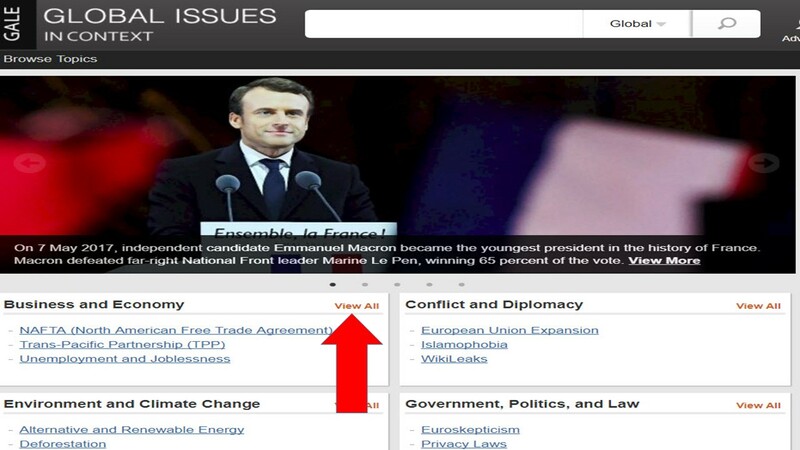 After clicking on the 'View All' link, you're switched to another page containing a list of topics links on business and economy with an international scope. 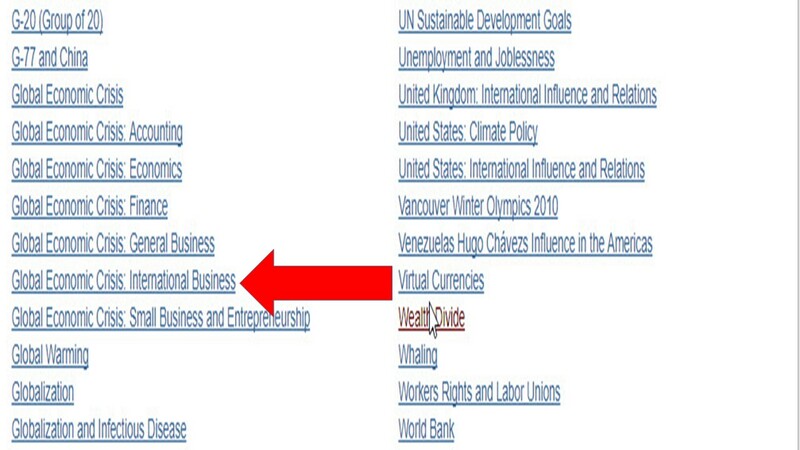 You can choose any that are related to the topic of your question, such as 'Global Economic Crisis: International Business' (see image below). Once you click on the link, read through the main article at top to get an overview and a better understanding of the topic, enabling you to do a more in-depth research for peer reviewed articles in the ABI/Inform database.